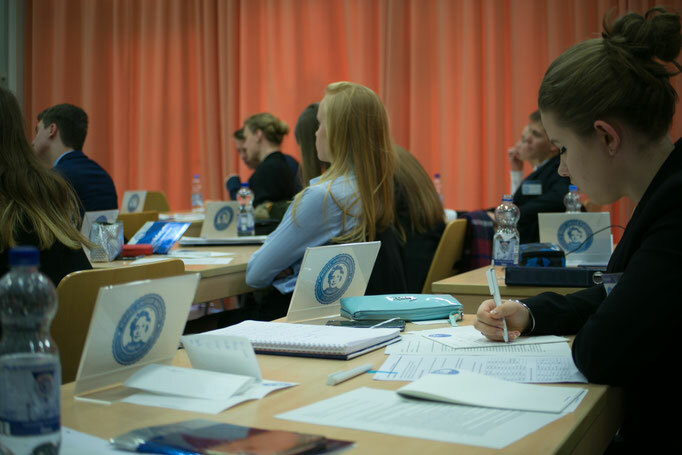 "Model United Nations is an authentic simulation of the UN General Assembly, UN Security Council, or other multilateral body, which catapults students into the world of diplomacy and negotiation. In Model UN, students step into the shoes of ambassadors of UN member states, from Afghanistan to Zimbabwe to debate current issues on the Organization's vast agenda. The students, better known as "delegates" in Model UN, prepare draft resolutions, plot strategy, negotiate with supporters and adversaries, resolve conflicts, and navigate the UN's rules of procedure-all in the interest of mobilizing "international cooperation" to resolve problems that affect almost every country on Earth." The conference grants participants a chance to test and train their debating skills in front of an audience. 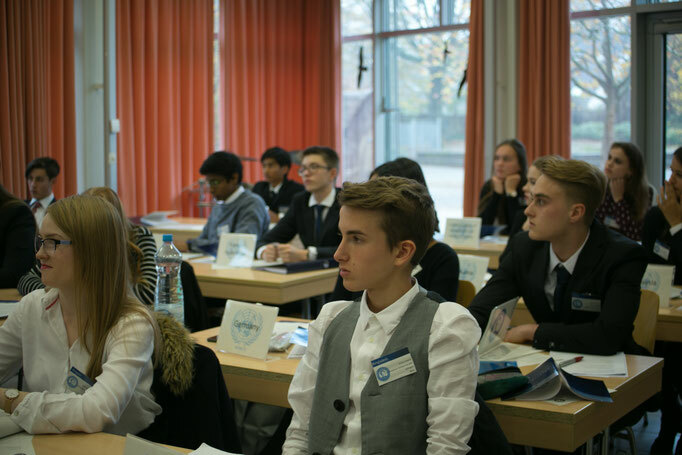 Model United Nations is an opportunity for young people to interact with real world problems and in a way that leads to potential solutions. Participants come from all over the world and the variety of countries leads to a broader perspective of the international community. Most of all, MUN conference is a lot of fun debating and making international friends! 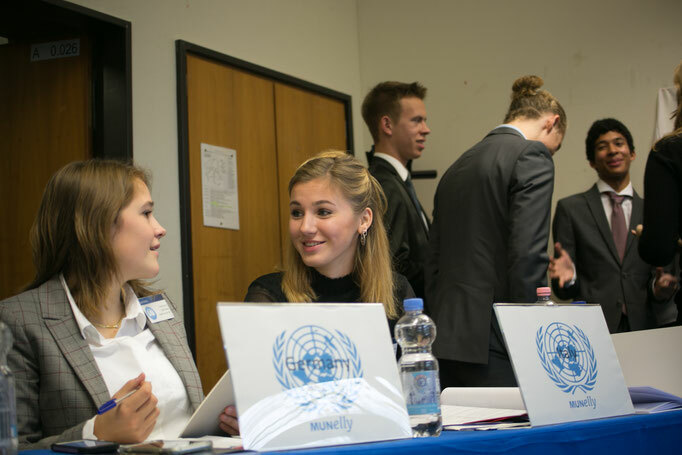 MUNelly, being an acronym for Model United Nations at the Nelly, is the annual MUN conference hosted by the Nelly-Sachs-Gymnasium in Neuss. Last year we hosted around 160 delegates, in this year we made it our goal to increase this number to a conference consisting of 170 delegates. In hopes of achieve this goal the Team of Munelly invites to our upcoming conference.